I want to build up my career as an international consultant to provide wise solutions that help achieve sustainable growth in socio-economic and environmental terms. 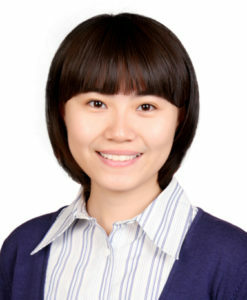 I was educated as an economist in China Agricultural University from 2004-2008, obtained a Masters education in Sustainable Forest and Nature Management from University of Copenhagen and University of Gottingen from 2008 – 2010, and recently graduated with a Ph.D. Degree from University of Copenhagen. For the past three years I have been working on adaptation to climate change of mountain people in rural areas of southwest China. One main tenet of this project is to provide well-targeted policy measures that help facilitate adaptation and capacity building of local communities, who are increasingly confronted with environmental and socio-economic changes. I have adopted a bottom-up procedure to collect empirical evidence of adaptation, which involves face-to-face household interviews, focus groups and questionnaire survey. The data were further analyzed using both qualitative and quantitative approaches to improve the understanding of local adaptation decision-making. The project is an inter-disciplinary piece of work, applying theories of rural development (e.g., sustainable livelihood approach), environmental psychology (e.g., protection motivation) and behavioral economics (e.g., random utility theory) to structure the analyses. Currently, I volunteer to work for the Research Program on Climate Change, Agriculture and Food Security (CCAFS) on constructing the index for national commitment to climate-smart agriculture. 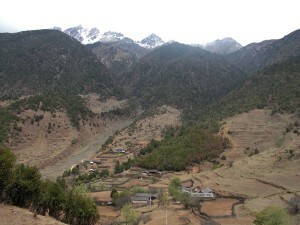 Wenhai – the mountain village situated at the foot of the Jade Dragon Snow Mountain, which keeps retreating in recent years due to global warming and frequent droughts. 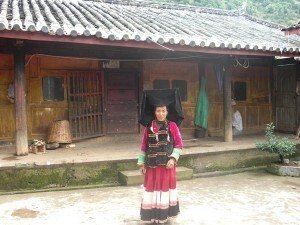 Yi people, dressed in traditional costumes living in remote mountain villages, southwest China. 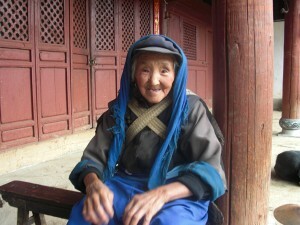 The Naxi elder in her 80s, who has experienced significant livelihood changes during the past three decades.